The versatility of the Worksite ProT Utility Blade provides added productivity for customers. The blade can be used for both snow removal and light dirt work. The blade features standard hydraulic angling of 30° to the left or the right. The bolt-on, replaceable cutting edge is 12.7 mm (1/2 in.) thick and 152.4 mm (6 in.) tall. The blade is 711.2 mm (28 in.) tall and has the ability to bolt on an extension to give an added 203.2 mm (8 in.) in height. The blade also comes with two adjustable skid shoes as standard equipment. Rubber cutting edges are available for those customers needing to protect decorative surfaces. 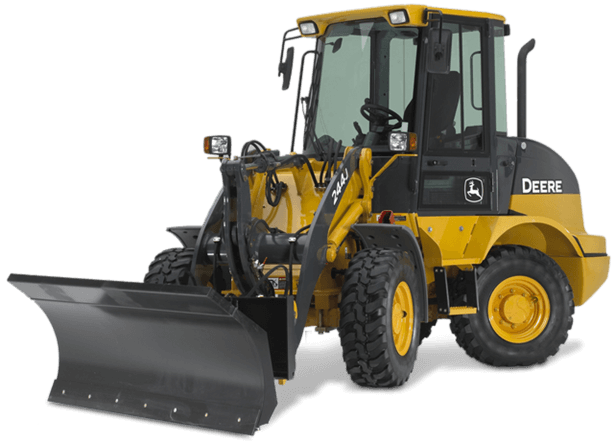 Used for both snow removal and light dirt work.